I get to see a lot of click bait stories, after all I spend a lot of time on social media. This one did not even sound like a click bait. It has been published by a Facebook page called Humans of Amsterdam. It is a story of an Indian girl who was caught in a bad marriage. I perfectly understand that, there are many like her. But the story got bizarre when the girl claims her entire bag went missing inside her house along with her passport. You can read the full story here. But then she talks about getting another Indian passport which definitely a work of fiction. Quoting from the story in bold and responding after it. Then why not file a FIR with the police? This is the bit that gets me mad. As the story is posted on Humans of Amsterdam many foreigners are demanding that the draconian Indian law be changed. My question is which law? The Indian passport process is online. If anyone was really interested in verifying this bit of the story all they need to do is Google “Indian Passport” and verify the story. But since this is bout India and it is an “oppressed woman” story no one will doubt one word of it. And that is how it should be actually. And that is why I get mad when I read lies regarding the Indian passport process. Anyone who is really interested in the Indian passport process can download the Indian passport application form from this link and see if it really requires a father’s or husband’s signature. Where will the poor husbands and fathers sign, there is no such column. But no one will do it, it is a story about India where women are repressed and laws are archaic. I have had three passports (one at a time, because the previous ones expired) and never did I need anyone else to sign my application. But then what do I know! 100s of people will try this trick on the security guard in India. He can only keep his job if he can prevent it. What if next time he lets in someone who is a security threat? But security threat be damned. If you actually lost your passport you need to file a FIR (first information report with the police) and only then apply for a new passport. Indian passport office is not open for 10 hours. They open only for 8 hours. This also includes half an hour lunch break. Check out the answer in the link for question no 6. And once again where will the husband/father sign? 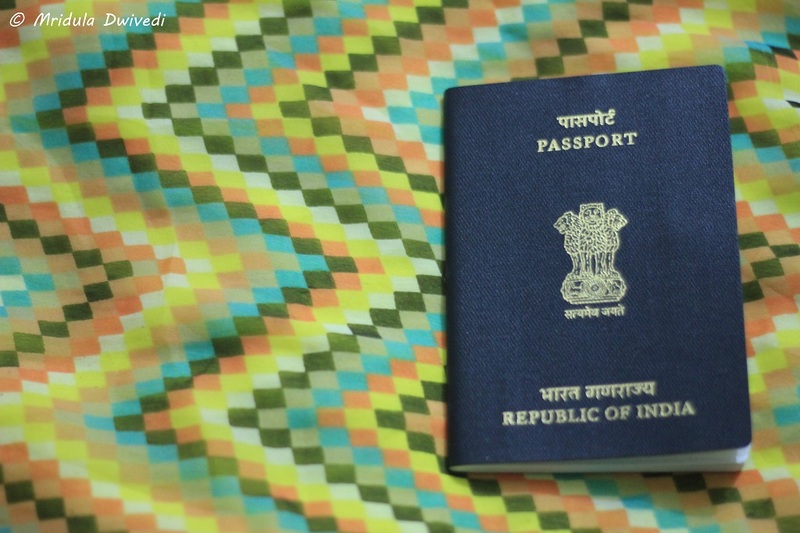 There are no separate passport applications form for men and women in India. There is one common form which has no such column. Yes someone is not being honest here, someone is lying because Indian passport process does not require a signature from father/husband. Which makes me wonder, why? Why lie about something in this age when everything is online and can be verified with the click of a mouse. Don’t get me wrong, I am not denying patriarchy and its associated problems in India. But the passport process described in this Humans of Amsterdam story is pure fiction. 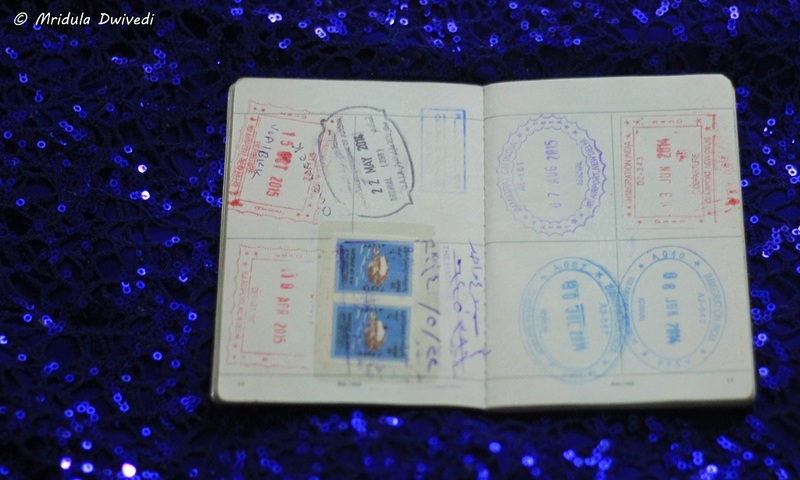 It has been picked up by other sites and there is a demand for changing the passport laws. I wonder how long till someone starts a petition? Do sites like Humans of Amsterdam (and others like ScoopWhoop who picked it up) have any editorial processes? I mean ‘who needs to sign an Indian passport application form’ is easily verifiable with a few clicks of mouse. Should we be that lazy? Or that gullible? Let me reiterate I love my Indian passport and I don’t need my husband’s or father’s signature to get it. There are no such columns in the application form, period. They cannot sign even if they wanted to! This is my tale of renewing Indian passport at the same address. My passport evokes so many in emotions in me, particularly the second one which I got in 2009. My first passport was made at my college address in IIT Kanpur. It was not at all difficult to get it done in 1999. Then after my Ph.D. I eventually moved to Gurgaon. In 2009 it was time to renew my passport. It was hell but I will tell you that story a little later in this post. Logically my current passport renewal should have happened in 2019. But there was a hitch. I almost ran out of pages on my current passport. There were just two clean pages left in my passport by December 2015. I was still holding on to it as I was supposed travel to a country which had e-visa and two pages would have sufficed. But that trip got postponed. There were no trips on the horizon for December and I saw opportunity to renew my passport. But let me take a slight detour and talk about my passport renewal experience in 2009. There was a change of address from the college to my own home in Gurgaon. I had a trip to UK coming up. I had more than three months to get the passport renewed. After looking at the website I decided to go for the normal route as I thought I had sufficient time. I was able to take an appointment online, and I successfully submitted my application. Police verification also happened. And then nothing. My trip dates were inching closer and I was getting nervous. After a while I panicked. I decided to convert my normal application to tatkal. Once again IIT Kanpur connections worked. A lot of friends from IIT wrote IAS successfully and one of them asked a friend to give me the Annexture F. He was himself not in town. I don’t think he will be thrilled if I name him, but if you are reading this, you know what a big help it was! In fact when I talked to him in 2009, I was probably not making any sense, so he told me “your work is done but now please explain to me slowly what is it that you want?” And did I mention that I was talking to him after a gap of seven years? After all that high drama my application got converted to tatkal and I got my passport just in the nick of time to get my UK visa done! And then blogging took off! I realized it in 2014 that I may run out of pages ahead of time. Since then I would ask all the immigration officers in my most polite voice to please stamp a used page in my passport. First I did this only in India, but then I started requesting everywhere, because I didn’t want to run out of pages! To my surprise immigration officers all over the world were cooperative! On my last trip to Thailand the officer had some trouble in finding a used page, where he could place one more stamp. He was showing my passport to the person sitting next to him as well! In a way it was a good thing, I traveled so much but I dreaded going back to the passport office! I started cribbing online. But I heard good things about getting the passport renewed at the same address. Also last year we did our daughter’s first passport and our experience was good! I did contact my friend who helped me in 2009 and he was as willing to help again but in the end I decided to go the normal route to renew my passport. I started looking at the official website on December 3. I had to create an account on the website and the verification mail took some in arriving. But other than that it was smooth. To my surprise an appointment was available on the very next day, on December 4! I hesitated thinking I could not assemble the documents so quickly. But the document generator told me if I was renewing the passport at the same address with no changes in it, I only needed a self attested photocopy of my old passport’s first and last two pages! I could pay the fee online as well! So I took my chance got an appointment booked the Passport Seva Kendra in Gurgaon for the next day. It was for 12.00 noon. I reached the building (MM Towers in Udyog Vihar) at 11.30, I was willing to be early than late. There are two road side tea stalls near the office. Both make excellent tea but if you want it with less sugar go to the one slightly away from the building. Finally it was five minutes to 12 and I walked in. It was easy going at the entrance, I showed my appointment paper and after a security check I was waved through! As I was walking in a car with blue light went inside. Someone asked the security guard- gadi andar jaa sakte hai? (are cars allowed here)? The guard replied, inka kya hai, kahin bhi jaa sakte hain (what about them, they can go anywhere). At the first counter outside the building, they took the appointment sheet and the documents and asked me to wait. Pretty soon a person went all guns blazing at the tatkal counter. He was shouting and screaming at the person handling his case. Apparently they were saying his home ownership papers were a photocopy and he was arguing that the originals were at the bank! The exact thing happened to me in 2009. But in my case they immediately accepted my logic when I said I could not show the originals as they were with the bank. If you have a home loan, that is the logical outcome. The lady and the young lad who got out of the ‘blue light’ car also went to the tatkal counter. But we all waited to collect our tokens in the same line. My number came before the ‘blue light’ people. I was asked to go to the A counters. As soon as I located the A counters my name was called. There was a young lad at the counter took my fingerprints and my photo. He joked that I ran out of pages, as that is the reason I gave for renewing my passport. The photo he took is horrible but I forgive him for that! I was done with the A counter within a few minutes. He asked me to go the B counter after that with the file he gave me. That is when the fun started. There was a token system and there were a few seats. But so many people were waiting in that area! Looking at the token numbers I knew I had a long wait ahead and I accepted it. The token system didn’t go strictly according to the numbers. If a person was sent back to the A counters they would come back and get their files processed again! This would make the queue a little haywire. Two girls were announcing the token numbers in addition to the numbers being flashed at the counters. I saw the person with photocopy of his home documents waiting for his turn inside! The waiting area had clearly pasted notices asking us not to use out cell phones and to keep them on silent mode. Most of us would surreptitiously check our messages. There was one woman though who continuously kept talking on her phone! No one said anything to her. And after a while she picked up a huge fight about her turn not coming in! She shouted at the young girls calling out the numbers. They too got angry. It was nearing lunch time now. I was resigned that my number would come after lunch! But the woman who was creating the big ruckus got out someone higher up who requested the counter person to see if he could process her application! The counter person said he would check for a few tokens. The second number that flashed on his counter was mine! So I told him I was also waiting. He went for lunch without processing any tokens! There is a small canteen within the premises. I had a tea and a spring roll. There is a clean wash room available too. I have to grant it to them that they came back from lunch in less than half an hour. I already knew where and when my turn would come. Surprisingly the lady with the blue light and her son were still waiting. As the lady from the blue light was older I asked if she would like to sit down? By now all seats were gone. She politely refused but a man got up and gave her a seat. The women who created a ruckus was also waiting. My turn came fast after the lunch. I was very scared that I would be asked to present some additional documents and this whole process will start all over again at a future date. But it took them just two minutes to process my application. I was asked to proceed to the exit. There are C counters too, but as I was not asked to report there, I do not know what is it about. At the exit they gave me a receipt and I was out of the building. It was 2.30 pm. The whole process took just 2.5 hours! I took an auto back home. I did not bring the car as I was told parking is not easily available. So far so good. But even in 2009 I had no trouble submitting my application. This time I asked for SMS alert too for my application. I know I can track it via the website but I was restless. After a week the status of my application changed to ‘passport is ready for printing.’ My hopes soared. Then in a few days, I got the notification that the passport had been dispatched via speed post! I was given a tracking number for the speed post. And on the 13th day (December 17) after I applied for my passport, the new one arrived. I was not at home, my husband took it. It is the 36 page booklet too. There was no fresh police verification but then my address or any other detail has not changed. So going by my experience renewing Indian passport on the same address is a straight forward process if there are absolutely no changes required. Use the website and you should be fine. I am so thankful for this hassle free experience! PS. If you are wondering about the background of my pictures, the orange background is a sleeping bag! 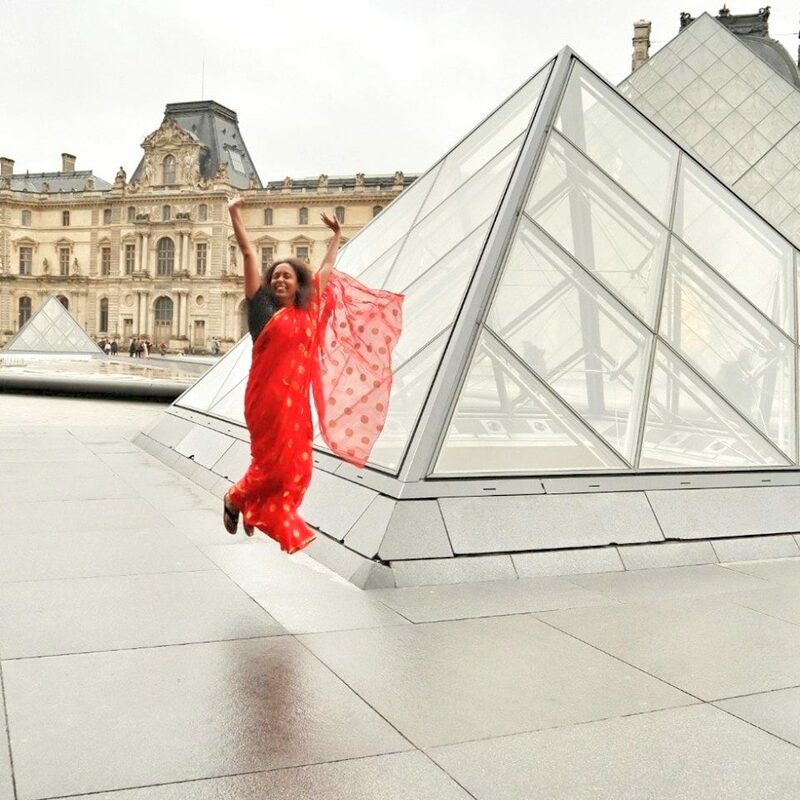 The other two are Chhavi’s dresses!